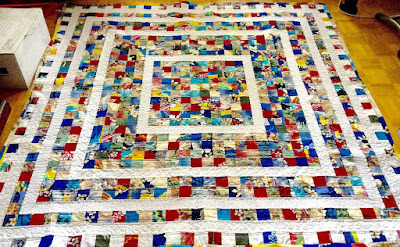 52 Quilts in 52 Weeks: UFO Parade: September Already? It's pretty clear August is holiday month for quilters -- not many UFOs got finished this month! But first, the UFO number for September. 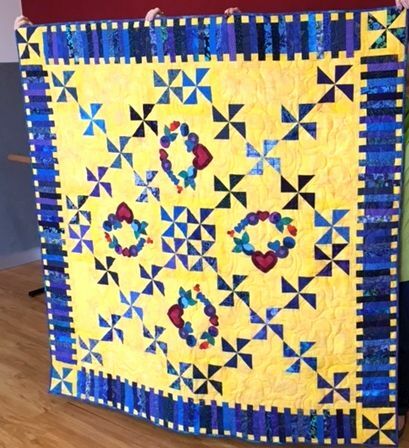 It's"
The first to join the parade is a blue ribbon quilt by Katie from Wyoming. First place at both County and State Fairs! Yay Katie! 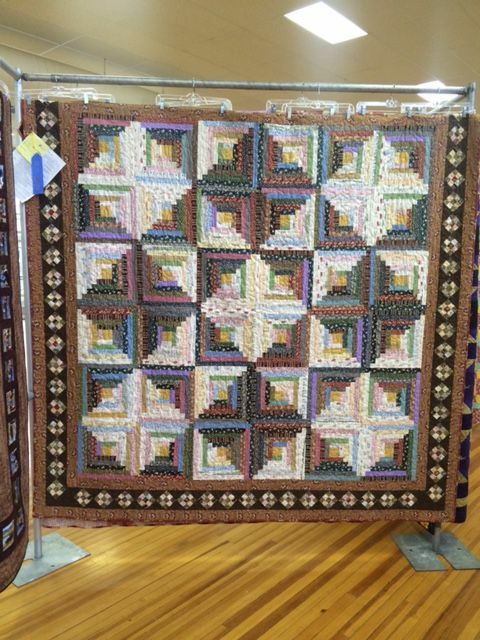 Kate, log cabin quilts are my favorite, and you did a spectacular job with the layout on this one. Congratulations! Sandi's August finish is one we did as a BOM at Ruth's Stitchery awhile back. Here's what Sandi has to say about "Kavelry." 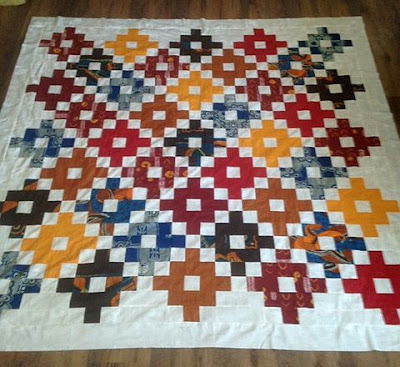 Kalvery used the Freedom Rings Block of the Month pattern and fabrics by by Paula Barnes of Red Crinoline Quilts. It is a large project that is 88" x 88". By the time Kerry and I started working on our individual projects finding the fabric line was near impossible. But with a bunch of searching around we gathered most of the ones called for. The important fabric to get was of course the eagle and star panel. Without it...well what can I say...it is what pulls this design together. My eagle and star panels fell just short of what I needed so I improvised a bit using pieces of the blue star border that were part of the panel on the top and bottom of each panel. So this patriotic beauty is done and I am very pleased. Seeing your quilt, Sandi, makes me wish I had participated! Idaho friend Martha and her husband served with the Peace Corps at one time. She is busily making quilts for their fund-raising auction next summer. It is so fun to see her authentic African fabrics! 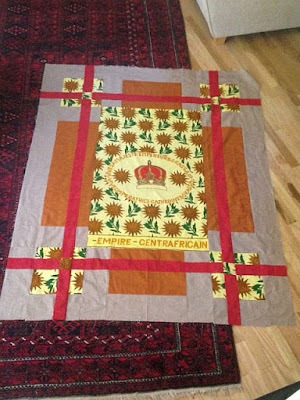 The first one she finished this month features fabric from when for a short time the Central African Republic became an Empire. More than 30 years ago. Here is another to-be-auctioned quilt. This one is 80" x 80" and will go at the Peace Corps auction. The proceeds go to Water for Good which digs wells in villages in the Central African Republic. I am not sure when I made this...I guess it was 2003. It is not my oldest UFO…that one may never see the finish line! The pattern is “Donna’s Dream” and was designed by Donna Elkington (who used to own a Quilt Shop here in Brisbane.) I particularly love the border on this one. Read more about Susan's quilts are her blog, Susan's Sewing Space. Melissa has two quilts and a unique finish to share this month. First, her quilts. 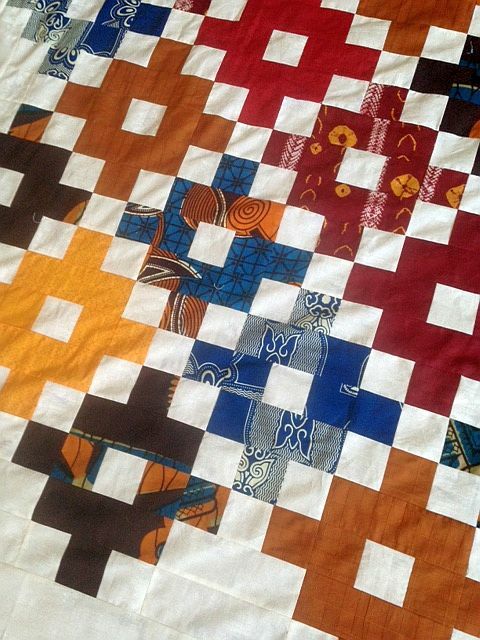 The first is a scrap quilt made with Hawi'ian fabrics Melissa's folks brought her about 10 years ago. She says, "They found bags of cotton scraps for $10 a bag and when I said that was a good price they bought me 4! This is my 5th quilt from those scraps and I'm almost at the end." 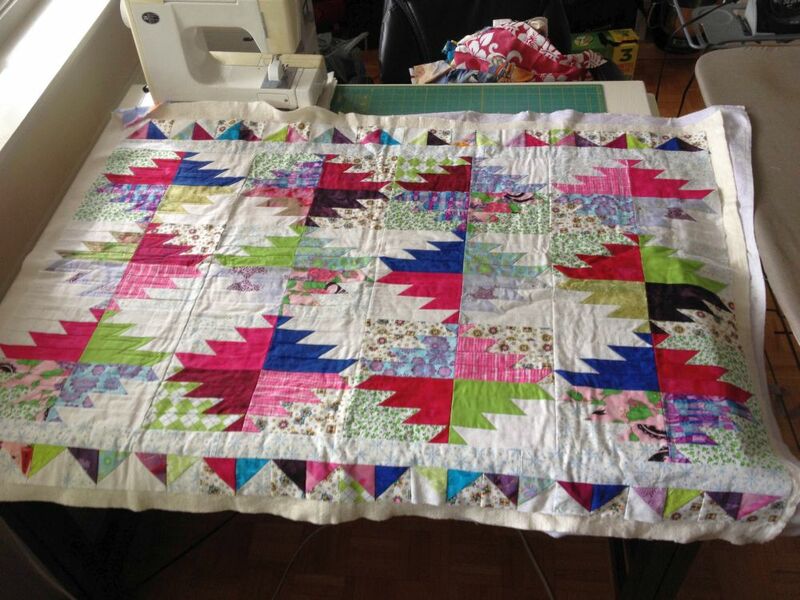 "The other is a baby quilt with more scraps. I love using them up and making something useful out of them." I love love love the next finish! 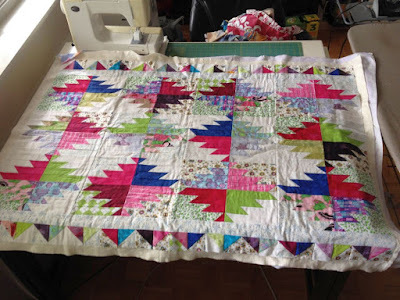 So fun, and I think the first finish by a man I've featured on the blog! 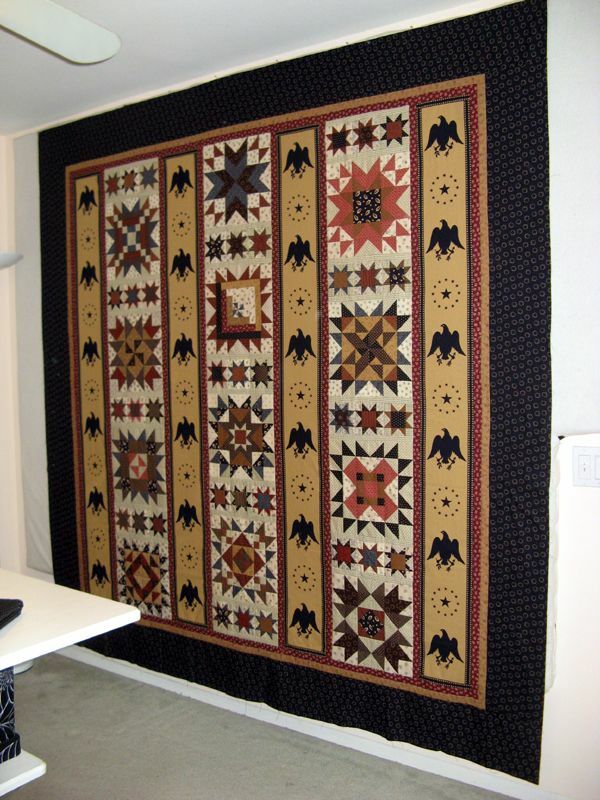 It's not a quilt, but it's really cool! The big accomplishment this month belongs to my Dear Husband. He makes models and this year I encouraged him to follow your monthly UFO picks into order to get some of his WIPs completed. And this month he did! It's the USS Buckley. I did a little research on the USS Buckley, and found it was a WWII destroyer with a storied history. Click on this link to the US Militaria Forum to learn more. 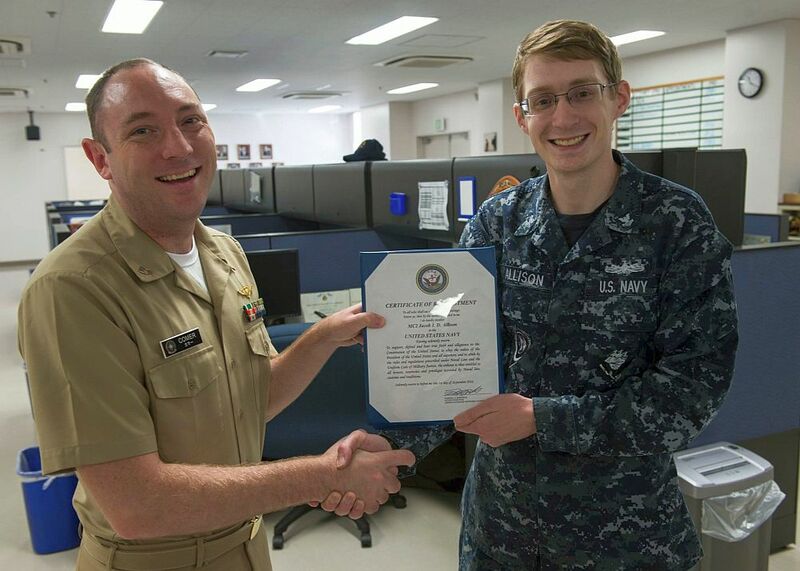 Speaking of the US Navy, My Little Sailor and 52 Quilts co-author re-enlisted for six more years of Navy life this week. I'm so proud he has chosen to continue his military career -- and delighted that his next assignment will be in San Diego! We're coming up on a three day weekend in the US -- it's Labor Day. My sister Julia convinced her boys that Labor Day meant you had to finish all the projects you started over the summer. Here's to finishing those UFOs! 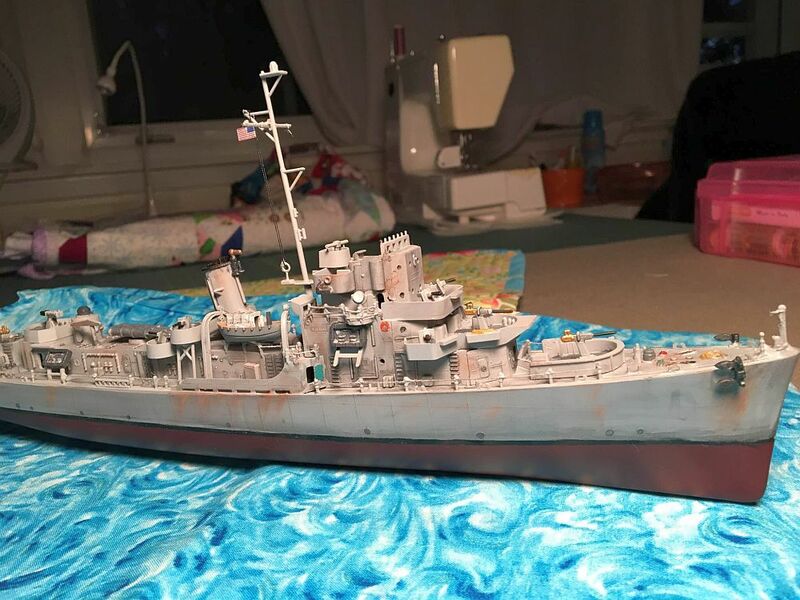 What a job to finish that model ship! I hope you continue with your UFO models. Quilts look great this month. Excellent work by all - love the model ship and what a great idea to use your system to finish them off... Love the scrap one - my finish next month should be my leaders and enders scrap quilt...fingers crossed!! Fantastic job everybody! I love the use of scraps in many of the quilts, as well as the planned an purchased ones. The ship is great, and a great way to join into the challenge. An of course many thanks and congratulations to the Little Sailor! I see more trips in Mom's future without an ocean between you. Happy September all! I LOVE Kate's log cabin quilt! I've always had a soft spot for log cabin quilts, it's one of the patterns that got me into quilting in the first place, and Kate's layout is gorgeous. Sandi, bravo on improvising and getting the eagle panels to work. I never would have guessed that wasn't the original design. I love Melissa's two scrap quilts. They are just my cup of tea.